In spite of it's construction, it was able to seat 200 and was well looked after by St. Marks authorities. 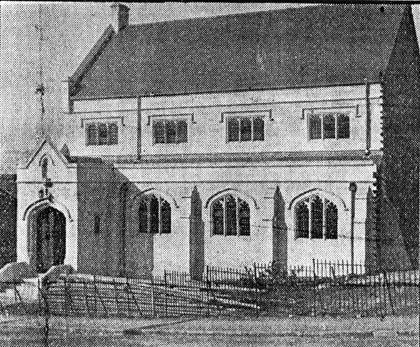 There was always a desire to construct a conventional church, and in 1902 the site in King Edward Road was obtained for a new building. 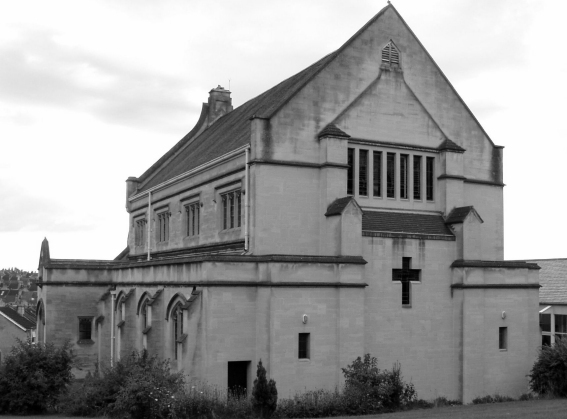 However, raising sufficient funds for a new building takes time, and it was not until 1936, after a huge fund raising effort topped up by a bank loan for the balance, that the foundation stone was laid. Meanwhile, the Tin Church was being used for services, a school room, Sunday School and other parochial requirements. St. Mark' s paid for the hall to be redecorated and it was given new carpets, a cross, chancel hangings and cassocks and surplices for the choir of 15. 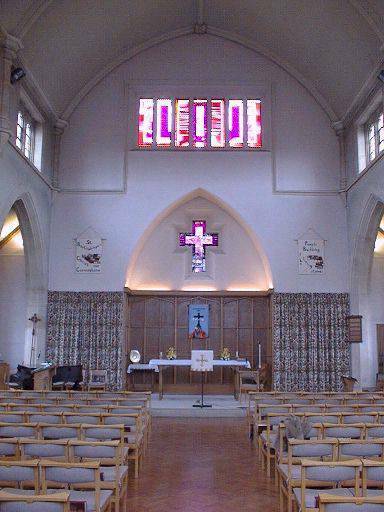 The new church was consecrated in 1938. The Tin Church, now officially known as St Bartholomew's Hall, continued to be used as a Children's Church and Sunday School. 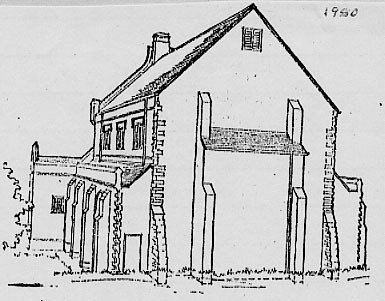 In 1939, repairs were carried out to the NE side of the Tin Church. Blackout curtains, stirrup pumps, ladders, sand and tin hats for fire watchers were purchased, and St Bartholomew's Hall was designated an Emergency Feeding Station. 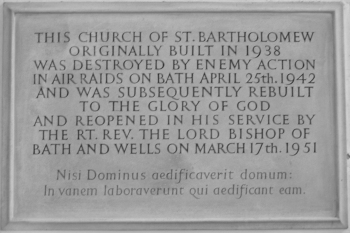 On 15th March 1942, the last payment of the bank loan was paid, and St Bartholomew's was finally debt free. In the early hours of the morning of 26th April 1942, a 250kg bomb (No. HE1068) struck the new church and severely damaged it. A 500kg bomb (No. HE1066) struck the house alongside the Tin Church, completely destroying the house and the Tin Church. 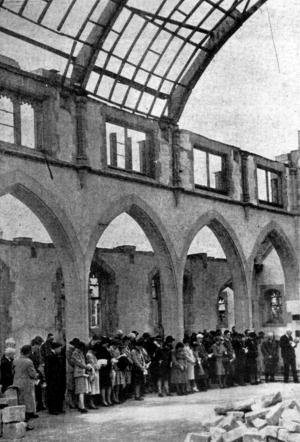 For the remainder of the war, church services were held in the ruins of the church. 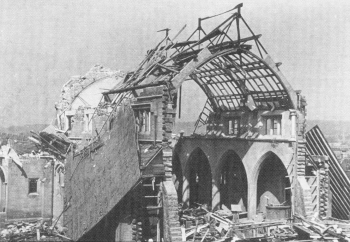 In 1949, the War Damage Committee agreed to fund repairs. However, the East wall was a temporary structure made of concrete blocks (which, although temporary, was to survive for nearly 30 years). The land on which the Tin Church had stood was sold to raise badly needed funds. 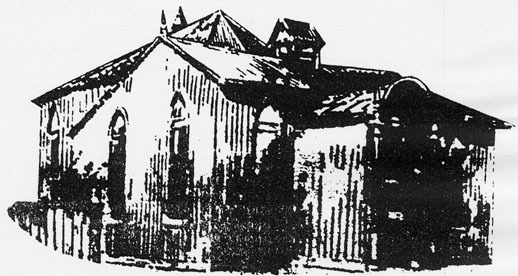 In 1954, a Church Hall was constructed alongside the church on the King Edward Road site, thus replacing the meeting space that was lost with the destruction of the Tin Church. 160 children attended the Sunday School in its new venue. 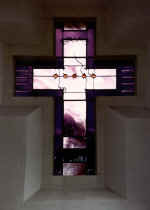 In 1975, the Church Commissioners offered St Batholomew's the status of Parish Church provided the East Wall was rebuilt. After the necessary fund raising, work started at the end of 1980 and completed with a service of dedication on 21st June 1981. The new wall was built in Bath stone.